Hello. We are Jeremy and Ewelina McBroom, Owners and Center Directors of Mathnasium of Kyle, your neighborhood math-only learning center. We help kids in grades 1-12 understand math by teaching the way that makes sense to them. Is your child struggling in math? You're not alone! We find that most parents we talk to say their child is having trouble keeping up in math class. Good news! We can help! Schedule your assessment and consultation today! Is your child advanced in math? Are you looking to help your gifted child stay ahead and be challenged? We have math experts that will coach your child to help them stand out! Schedule your consultation today and let's get started! Call Now (737) 414-5757 and learn more! Happily serving Kyle, Buda, San Marcos, & Wimberley areas. Location: Kyle Marketplace, next to Edible Arrangements and the UPS Store, across the parking lot from Starbucks. I got to spend several weeks in the Mathnasium Experience. I learned what I didn’t know, that I didn’t know. I continued as long as my schedule and resources would go. And will resume chasing my goal (to read Dr Einstein’s blackboard) when I can. Thank you for your guidance and grounding. Yes! To recommending Mathnasium. Keep in mind parents that as your child goes through Maths, they may encounter difficulties. They must be encouraged and tutored through those challenges to keep on the path to their goal. Whatever career they pursue it will be greatly enhanced by the more mathematics they learn, remember, and then use. And to students I say: Whatever you learn you will someday use. Learn Science, Technology, Engineering, and Mathmatics as far as you can, and your life and your paycheck will be enriched by it. My daughter has been coming here since it's open. Ewelina and Jeremy have great paasion about teaching math and this place has great staff who help my kid. Thank you for helping my daughter! They genuinely care about each child that steps through there door. They have boosted my daughter’s confidence in math. Since staring Mathnasium, my daughters math grade has jumped by 20+ points. Results were noticed within a few weeks. Our daughter is much more confident in math and doing better in school. The folks at Kyle treat us like family, and that means a lot to us. My son's experience with Mathnasium has truly been a great experience! He loves Mathnasium and I'm happy with the results that he has shown in his math work so far. Mathnasium provides an efficient working environment with friendly staff. The SAT prep I received was invaluable to me- basic algebra skills that I was missing were filled in by daily practice work and guidance from instructors. 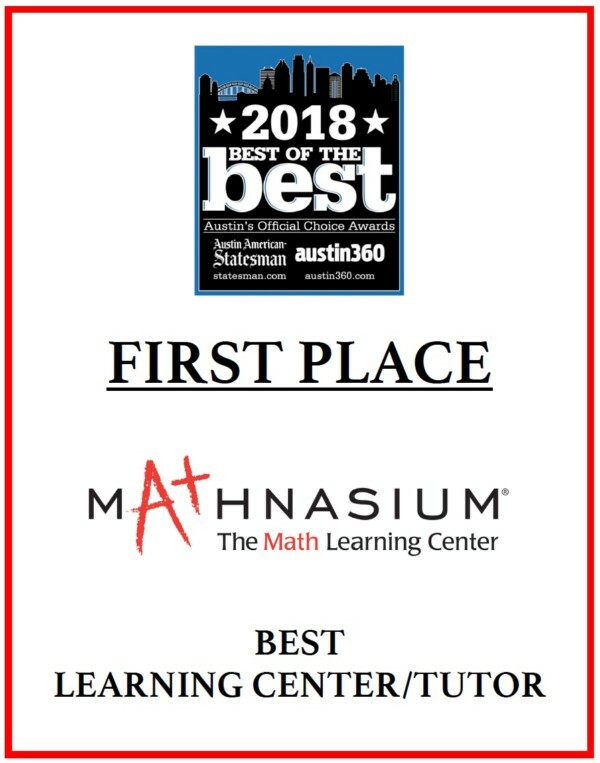 Mathnasium provides an individualized approach to every student's needs; I was a struggling calculus student until I perused Mathnasium and I can safely say that I can now take a derivative. One-on-one assistance is done with patience at your own pace. Mathnasium set me up for the SAT in ways that I could not have done alone. My sons LOVE the Mathnasium! They always enjoy themselves and love learning and growing here. Ewelina & Jeremy are always so sweet, positive and work thru the math problems with the kids and make it a fun & enjoyable experience! Alex is thriving! he enjoys going and his grades are improving rapidly! I highly reccomend this experience for anyone who has a child struggling with math. I wish it had been around when I was a child. My child looks forward to going and she is learning so much. Helping her advance in school and loving the subject she once struggled and hated. I highly recommend this facility as the owners do a really good job caring and belong. The tutors are absolutely helpful. My child returned to school comfortable and ready for math! My child is learning more here than at school!